We are delighted to announce that hairlogics and Jacqui-R Salon - Bow Lane hair studios are to combine and become one amazing salon. Keeping the Jacqui-R Salon, this new partnership elevates hair salons to the highest possible standard and ensures the best experience possible in meeting our customers requirements. Conveniently located close to St Paul’s, Bank and Mansion House tube stations with opening times from 8:00 to 8pm Monday to Friday, this partnership will offer a new enhanced service at convenient times. 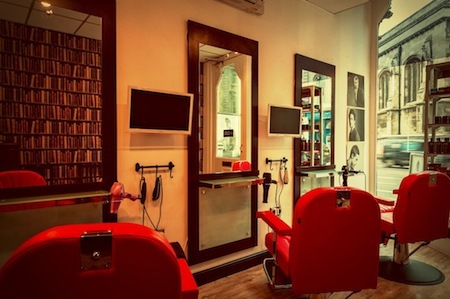 With a new address and stunning new facilities, we promise to still give you your favourite hairdresser, just a short walk away from our previous hairlogics salon. Female clients are now directed to the Jacqui-R salon, whilst our male clients can choose between Jacqui-R or Man-oj Mens Grooming. 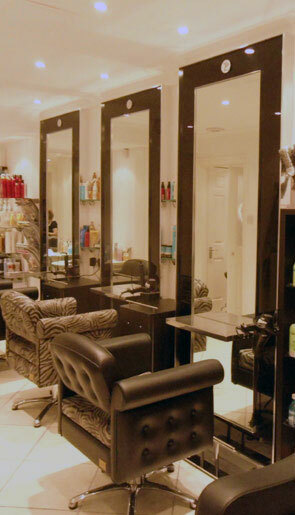 Our existing clients will access hairlogics pricing when moving with us. All our clients are on our database. Nikki and Rebecca are all moving with us to the Jacqui-R Salon at 42A Bow Lane, London, EC4M 9DT which is just a short walk from our previous salon. Shirley will continue to focus on mens hair and therefore has opted to work in our specialist mens grooming barbers, Man-oj. Just 30 seconds walk away from the current hairlogics salon, Man-oj is situated at 45-47 Queen Victoria Street, London EC4N 4SF.